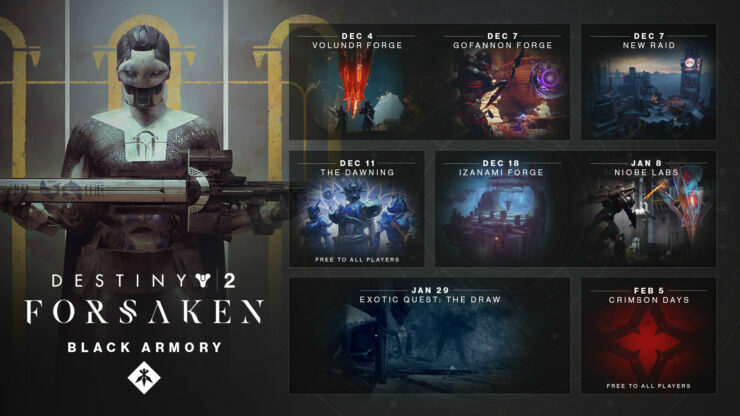 A few hours ago, Bungie shared a new roadmap for Destiny 2, detailing the upcoming updates and content releases up until August 2019. 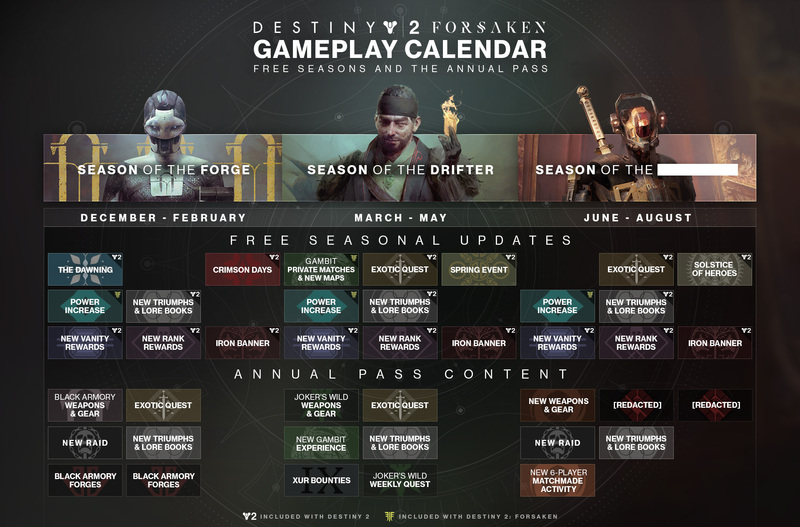 After the launch of the Forsaken expansion, the developer has elected to adopt a seasonal approach to new content. The Season of the Forge will last between December and February, then the Season of the Drifter will get the spotlight between March and May, while a currently untitled third Season is due from June to August. You can get more details below.